It’s amazing how good friends can lift the spirits and make one feel at home even in a foreign land. Just a few days back, on Holi, I was sad on being thousands of miles away from the family. But the fun in the past two days more than compensated for the sadness. First it was baking candy cookies with a friend and then it was coloring the eggs ahead of Easter Sunday. Last weekend I visited Panera Bread (a bakery–café) for lunch and my daughter, Amaira, fell in love with the candy cookies. Unlike other foodstuff for which she shows momentary excitement before the first bite, she loved these cookies and ate one whole! Wow! I thought Easter would be the perfect ocassion to bake these cookies at home…and to make baking more fun I got together with my friend Mariam. The three kids: Eshal & Sarim (Mariam’s daughter and son) and Amaira (my daughter) were so excited that they didn’t even let the two of us sit and chat for two minutes. 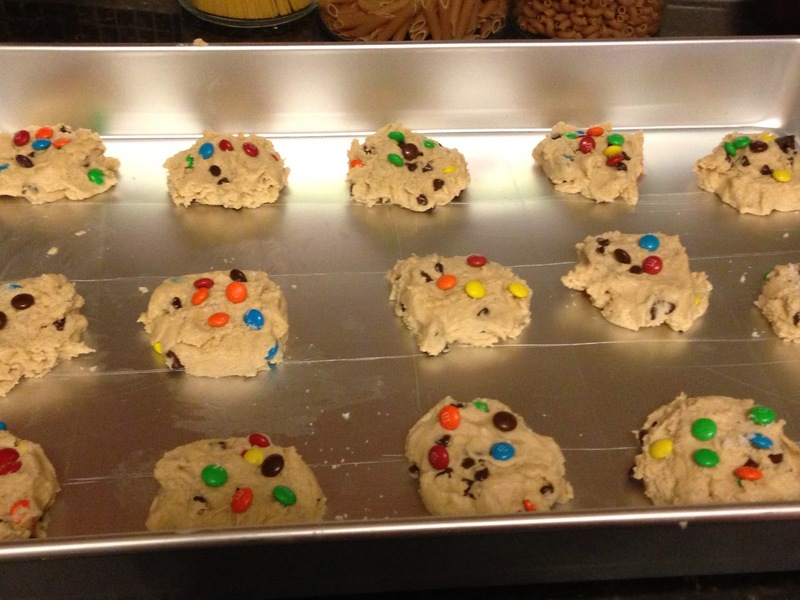 We had to immediately give in and start preparing the dough without any further delay. I guess the mere mention of the word ‘Candy’ is enough to turbocharge the already superactive kids. 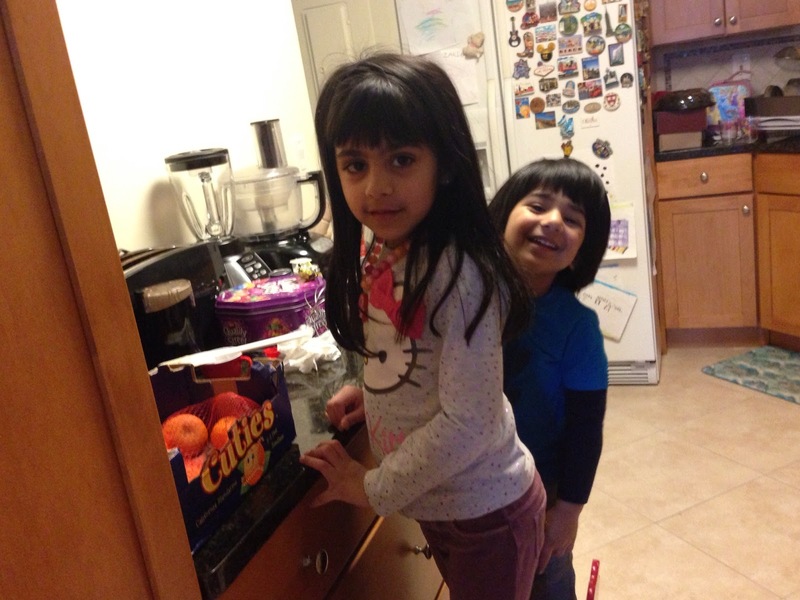 Finally, when we were done baking and the cookies were hot out of the oven, all three of them were ready to pounce…I had to hold them back while Mariam took them out of the oven and set them down to cool. The long wait ended when the li’l ones got the first bite and it was funny to watch how they licked off all the candies first, and then nibble on the cookies. And today in the morning I got together with a few of my friends for egg colouring and decoration. 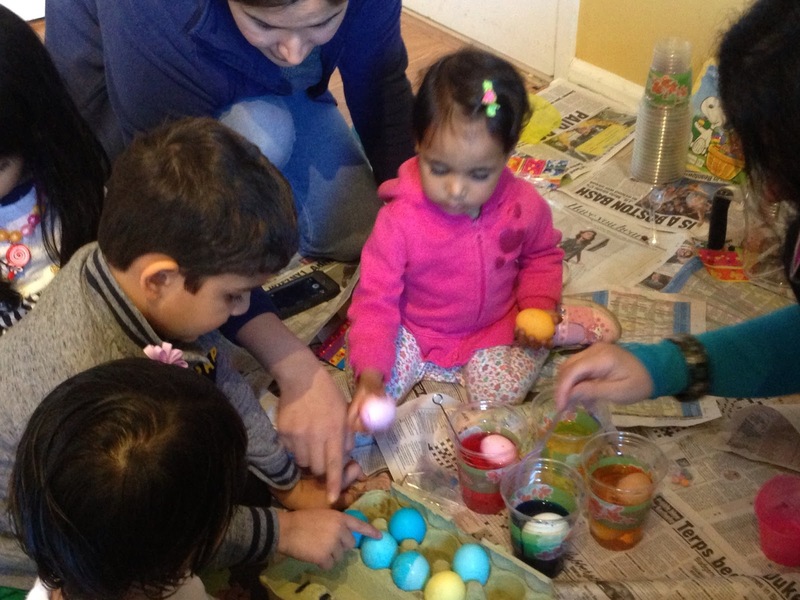 It was my friend Lauren’s fantastic idea to keep the toddlers engaged for an hour or two…they were intrigued and excited by the whole process of dyeing and decorating eggs. Little did I know that those boring eggs that have to be forced down with breakfast could be so much fun to play with! 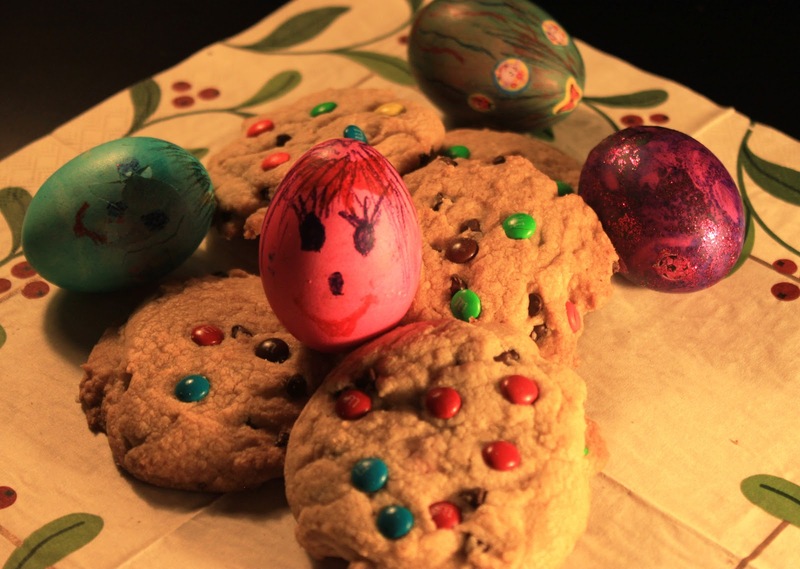 All in all, the coloured little hands, brightly decorated eggs and candy cookies livened me up. Thanks my friends for always being there…for those who have’nt planned anything yet, this could be a good weekend idea to keep your little ones busy and catch up with your girlfriends. Happy Easter!! We tried these cookies today as a family project .. they were so easy to make and turned out to be so yummy .. these should be names as \”giggle cookies\” as my daughter has been giggling since the morning after having them .. thanks for sharing. Wow..good to know you had fun baking them Afsha. Giggle cookies is such a cute name…that's what I am going to call them…Zariah, keep giggling! !